Why do we need Natural Vitamins everyday? Vitamins are very essential to the body in the sense that it help supplies minerals and enzymes that build the body and repairs worn-out tissues in the body cells. I describe vitamins as one of the best medications you can give your body to stay healthy naturally. 1. Weight Loss: There are so many reasons you need to eat natural vitamins daily which includes weight loss. Most of the high vitamins foods like fruits contains enzymes that aids digestion. Many of these natural Vitamins will helps to burn excess calories in the body which prevents weight gain. If you really want to get slim or you want to maintain your weight, then eat more natural vitamins, it works for weight loss. 2. 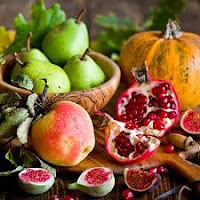 Fiber: Another reasons to eat more natural vitamins everyday other than the tablet vitamins is that natural vitamins usually contains high amount of fiber in it, these fiber do help to fasten digestion rate and provides minerals that helps the body in many ways including weight loss. 3. Energy: Natural vitamins like those present in fruits and vegetables give energy. For instance, i notice that i get instant energy when i eat more of fruits like Apple, watermelon and cucumber. The kind of energy it supplies might not be equal in amount to carbohydrate foods but it contains energy that helps the body in terms of stamina and body balance. 4. No Prescription: One of the reasons to eat natural vitamins daily is that it involves no prescription. Unlike other vitamins that need prescriptions on the kind of amount you need to use daily, weekly, monthly, morning, afternoon or night but natural vitamins can be eaten at anytime of the day before or after meal, it give nutrients. 5. Natural Digestion: One of the reasons you also need to eat natural vitamins is in the area of digestion. You really do not need other medications or drugs to digest food but natural vitamins like fruits will do that. Natural vitamins contains high fiber and minerals that help to digest food particles very fast. 6. High Metabolism: Just as i explained in (5) above, you need to eat more of natural vitamins which are abundant in fruits and fiber foods to increase the body metabolism. High Body metabolism helps the body in terms of weight loss, digestion, body balance, build the body cells and many more. In Conclusion, its not every time you buy prescription drugs to maintain the required vitamins, you can get all you want through natural vitamins around you in fruits and fiber foods. To stay healthy, you need to eat more of natural vitamins and i believe they are cheap and are affordable. Thanks for reading.